Hi To All My I&W Visitors. Sue is our Host this week and her Theme is a wonderful theme to begin our new week here. Vacation times are always special and even though I have had many wonderful vacations over time I think my photo below highlights one particular experience from a vacation in Queensland that stays with me even to this day as being an outstanding moment from a fantastic vacation. LOL!! Wonderful quote. Beautiful shot. Thanks for your comment. Great capture Milli and the words make your capture. 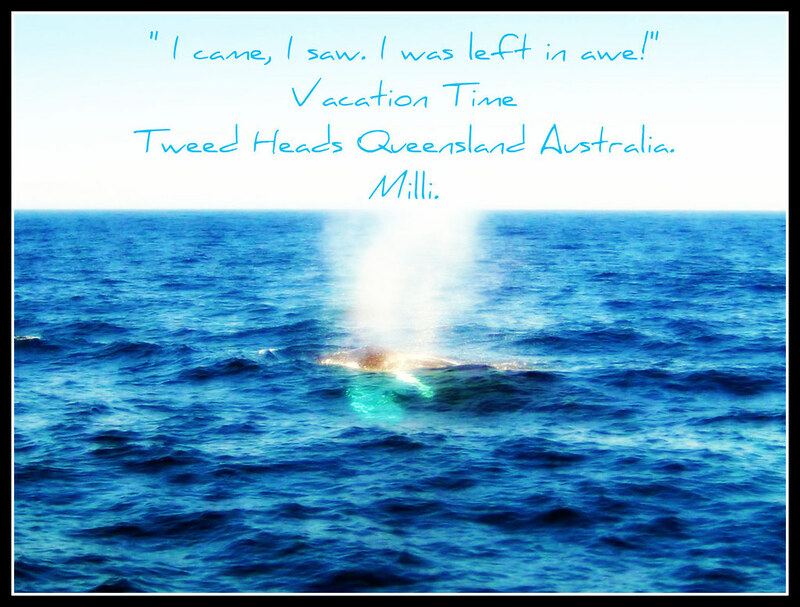 I bet you had a 'whale' of a time!! Beautiful Milli. Is that a whale? Such an awesome shot.. And quite an adventure. YES!! That's what vacation is! Terrific shot!